Scratchy Noises are a group of learner musicians based in the Glasgow area, mostly students at the GFW traditional music organisation. I am privileged to have been invited to conduct several music workshops with the group, usually looking at a variety of music. The music for my workshops is usually available to download before the event. 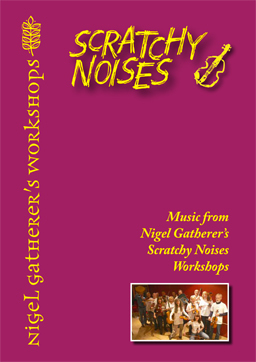 I have compiled this download-only book of many of the tunes I have done in previous SN workshops.